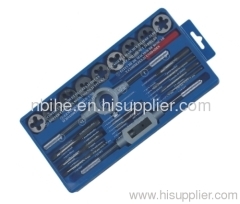 21pcs Tap & Die Set , Alloy steel, with tap wrench and Die holder. From M3 to M12. High Quality, perfact service. 1pc die wrench O/D 1"